Key Difference: Apache is the short name for 'Apache HTTP server'. It provides numerous features like CGI, SSL and virtual domains. Tomcat is a web container that runs the web applications based on servlet and JavaServer pages. It can also be used as a HTTP server. Both differ in many features like speed, configurability, etc. Apache and Tomcat, these terms are used in context to web servers. When someone refers to Apache server, it means the Apache HTTP server is being considered. It has been developed to serve the need of an open source server for modern operating system like Unix and Windows NT. 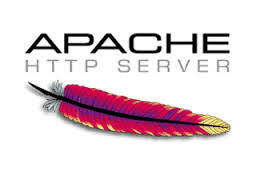 Apache is the short name for Apache HTTP server. It is already an established standard that helped in the spreading of World Wide Web revolution. The name of the server has been kept after the Native American-India Apache tribes. This server has been developed by Apache Software Foundation. The members of this community keep on adding new features to the server. It provides numerous features like CGI, SSL and virtual domains. It is a public domain and open source type of web server. Due to its features and functionality, it is often counted as one of the most popular web servers. One does not need to pay to download and install it. It also serves all kinds of needs through various modules. This server provides numerous services with the use of protocols through different ports. A connector to connect the request to the container. It creates the request and response objects. A container, which is the actual server of the services regarding the requests. Both servers have their own sets of advantages and disadvantages. However, both the web servers can be made to work together. Apache server can be the principal server in terms of static documents. It can forward their requests for servlets or JavaServer pages to Tomcat. In this case, the benefits of both can be utilized. Apache is the short name for Apache HTTP server. It provides numerous features like CGI, SSL and virtual domains. Tomcat is a web container to run the web applications based on servlet and JavaServer pages. It can also be used as a HTTP server. CGI scripts. Server API modules, Perl, PHP, etc.